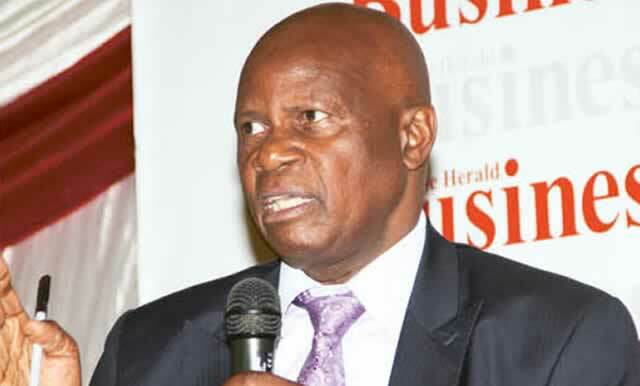 FINANCE minister Patrick Chinamasa has accused the opposition MDC-T party of causing the country to incur “unnecessary costs” though by-elections. The government is struggling with a serious financial crisis as revenue streams dry up due to the collapse of hundreds of companies in a worsening economic environment. Chinamasa last week told the Senate that the move by the MDC-T to expel rebel MPs who crossed the floor to MDC Renewal forced the country to incur costs which could have been avoided at a time the national purse is in virtually empty. The treasury chief was responding to a question from MDC-T senator, David Chimhini, who wanted to know how government was funding by-elections instead of helping revive of key industries. “I wonder why the honourable member is even asking such a question,” said Chinamasa. Early this month at least 16 constituencies held by elections with 14 of them being the result of MDC-T’s move to fire 21 MPs including ex-party secretary-general Tendai Biti. The elections gobbled over five million dollars. The other two constituencies were however the result of ruling Zanu PF expelling Temba Mliswa and Didymus Mutasa for allegedly working with ousted Vice President Joice Mujuru to topple President Robert Mugabe. “As government we don’t ask political parties to stop firing people but we are obliged to act and fulfil the constitutional mandate to finance by-elections as and when they are to be held,” explained Chinamasa. Three more would need to be conducted after Zanu PF expelled Ray Kaukonde, Kudakwashe Bhasikiti and David Butau for allegedly being part of the Mujuru camp. Bhasikiti has obtained a court order temporarily barring President Robert Mugabe from calling for by-elections in Mwenenzi East until the court has ruled whether his first expulsion from Zanu PF was legal or not.